1. Tennis: Bagni di Lucca, Mirafiume Tennis Club with four tennis courts (three clay) and lights for playing at night. 2. Swimming: swimming pools inside the Park Villa Ada are fed with thermal water and include a large Olympic pool, one for children and one for diving. 3. The Lima River is popular for fishing, his natural wells are crowded on hot summer days, also in its waters are practiced rafting and canoeing http://www.aguaraja.com/home) 4. A Bridge to Gaius, in a nature reserve where even the golden eagle nests, using expert guides Environmental - Excursion, registered in the region, in the summer you can visit the Ravine Botri, a karst canyon, that is a very narrow valley, created by the erosive action of the cold waters of the river Rio Pelago, which for hundreds of thousands of years have carved in the limestone Apennine forming walls up to 200 meters and close to each other. The recommended routes are available in any level. 5. Another visit is recommended to Wind Cave Fornovolasco. The Wind Cave is located in northern Tuscany, in Garfagnana, in the center of the Apuan Alps Park, in an area full of spectacular as interesting karst phenomena, giving rise to the majestic natural sculptures, such as the massive Panie, the huge natural arch of Mount Drilled or stone waterfalls and Plateau Vetricia. Immersed in this evocative setting, the Wind Cave has a great variety of stalactites and stalagmites lives and bright, ponds, streams, erosion forms, formations of mud and even perfectly vertical wells that can be visited with comfortable paths. 6. Picturesque village of the Apennines of Pistoia, Cutigliano is an attractive and welcoming destination for those who want to live a quality experience discovering places of culture and tradition, off the traditional tourist flows. Its historic center is a little gem characterized by narrow streets and quiet corners where the visitor can enjoy the taste of this tradition. 7. Barga. 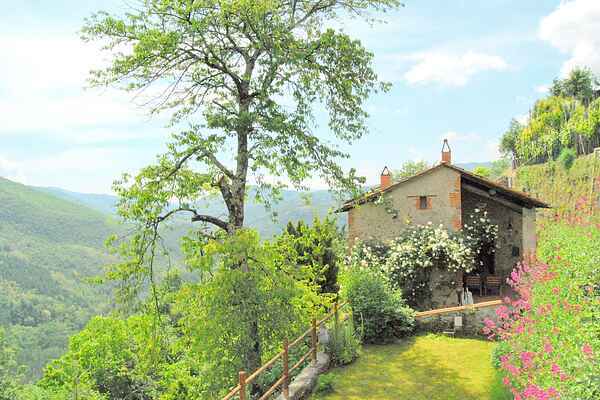 Town of ancient traditions, dating from the early medieval Lombard (VI-VIII century) Barga is nestled in an idyllic position between the sloping hills of the Tuscan-Emilian Apennines and the majestic amphitheater of the Apuan Alps, which separates the Garfagnana from Versilia .